Wasn’t it nice to have a week off from watching Vancouver Whitecaps get screwed over by “PRO” referee decisions? We’ve enjoyed it anyway. The Canadian men’s national team were back in town after an absence of two and a half years, seeing off French Guiana in their final CONCACAF Nations League qualifier, securing a place in Nations League Group A and at this year’s Gold Cup. We chat about the match and what may lie in store internationally for Canada. Are we all getting too carried away by the exciting young talent assembled? We also bring you a number of one on one interviews this week with Canadian national team players. Kicking things off is Mark-Anthony Kaye, who talks injury recovery, life with LAFC, and what Marc Dos Santos was like as a coach. Next up is Marcus Godhino who talks about life in Scotland with Hearts, the Edinburgh derby, and what it means to play for Canada right now. 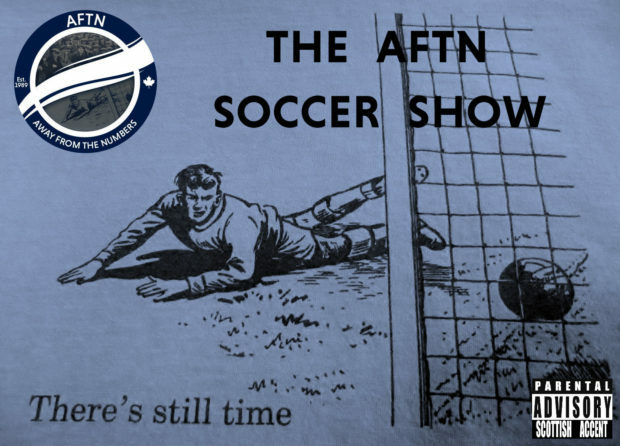 Moving from the young ones to the old guard, we chat with current Whitecap Russell Teibert and Besiktas’ Atiba Hutchinson, plus David Edgar talks about moving back to England to play with Hartlepool United, the lure of the CPL, and monkey hangers! Plus we look at the state of the Whitecaps as they get set to head into their first Cascadian derby of the season, hear from Derek Cornelius after PRO admitted they got his tackle wrong in Houston, look at the weekend’s action in the MLS Western Conference, and this week’s Wavelength is a tribute to Johan Cruyff on the anniversary of his death.